Treasury Garden is drawn from a series of works based on observation, often from aerial perspectives, and the synthesis of distance and intimacy. The exhibition explores the evolution of the urban landscape over time and the way it is determined implicitly in the views we create, simultaneously affecting our daily activities. Scale and perspective suggest a relationship between observation and experience, a connection between how and what we see with the sites that we have made to live in. 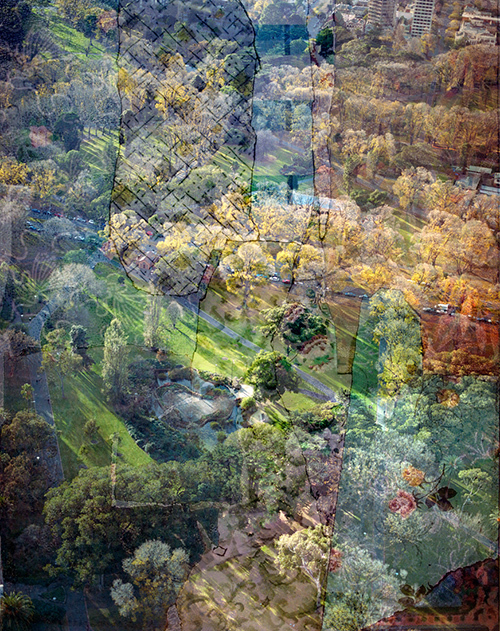 Image: Bruce Reynolds, Treasury Garden study (detail) 2010, digital photographic print, courtesy of the artist.